Le Méridien Ra Beach Hotel & Spa offers a truly unique experience in each of its stylish guest rooms and suites, where new ways of looking at the world are revealed. Warm earth tones and sitting areas create an inviting ambiance for you to enjoy your surroundings. Discover deep relaxation under the high ceiling of a spacious Deluxe Room, which offers a view of orangery gardens or a side view of the glittering Mediterranean Sea. 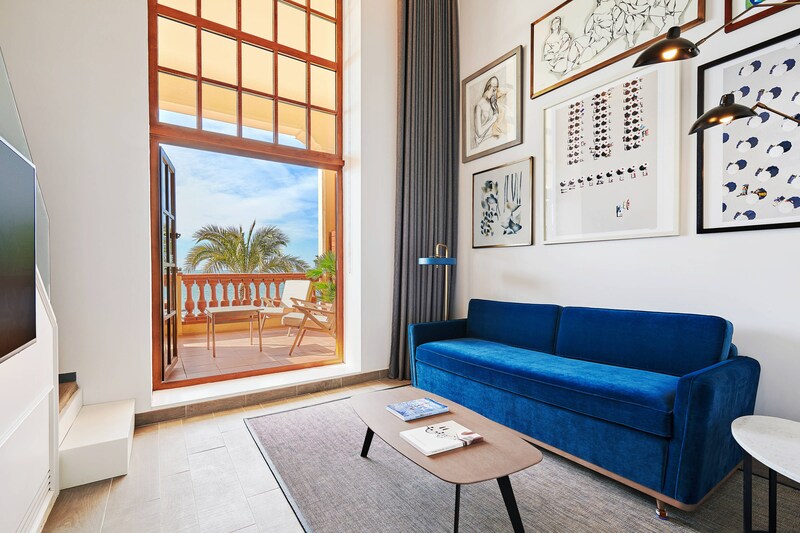 Some Deluxe Rooms in the contemporary building are equipped with marvelous private terraces. 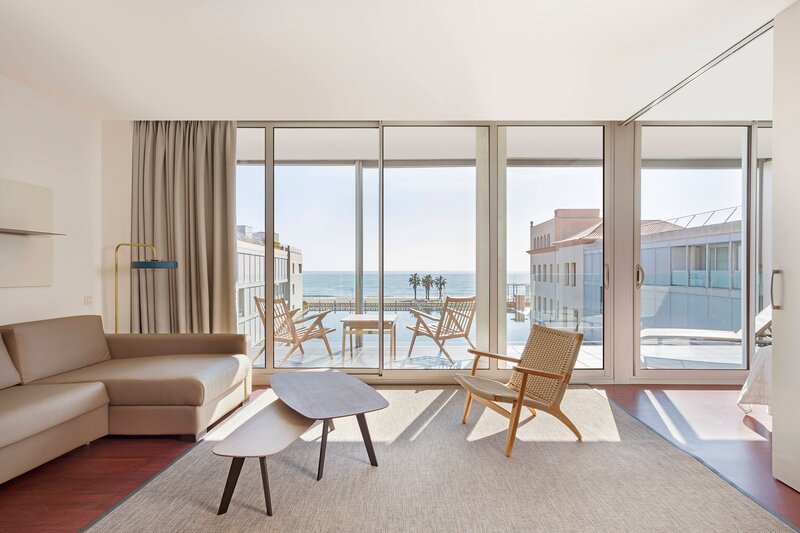 Premium Rooms allow Mediterranean views from their private terraces. The modern building’s Premium Rooms also face the lake, which reflects the sky to create a seamless image of serenity. Family Rooms’ generous layouts ensure ample space for parents and children. Sleep in comfort with a king-size bed and two optional extra beds. Located in the historic building, Grand Deluxe Rooms are among the resort’s largest guest rooms. 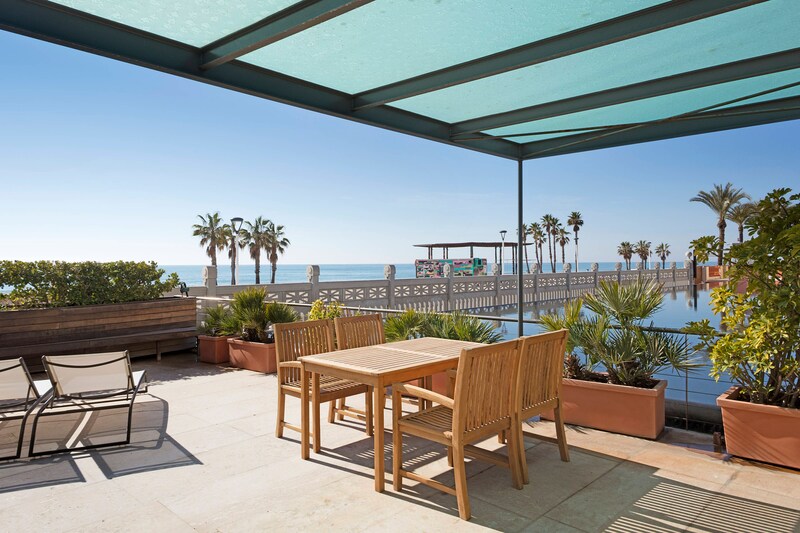 Admire seafront views from a spacious terrace that can host intimate breakfasts. Make yourself at home in a Prestige Suite, whose oversized windows afford views of San Salvador beach. Relax in a comfortable living room that is separated by a sliding door from the bedroom. Duplex Suites in the historic building provide two tiers of space for guests to spread out. Enjoy direct access to a sea-facing terrace from the downstairs living area, or move upstairs to the bedroom. High-ceilinged recently renovated duplex suites in the hotel’s historic building give you two tiers of space to spread your wings. 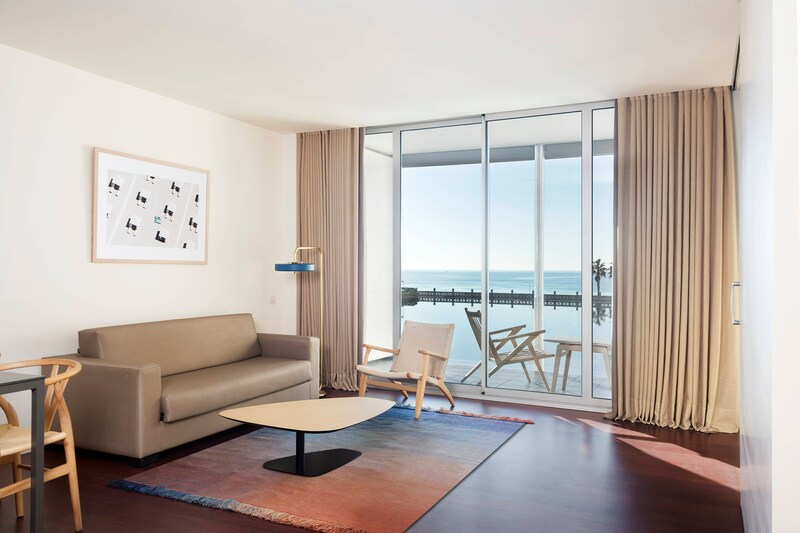 For even further space and privacy, discover the New Apartments at Le Méridien Ra Beach Hotel & Spa. Information regarding the stay of a third person: Depending on the room type, our rooms can accommodate up to 4 people.